We had the privilege to speak with Maurice Pelletier, Open Space Operations Team Leader for the City of Edmonton, who was recently awarded a Smart 50 Award. We wanted to learn more about his project, so our Managing Editor Laura Benold interviewed him. Check it out! LB: Tell me about your sustainability goals in Edmonton and how they prompted your winning project. 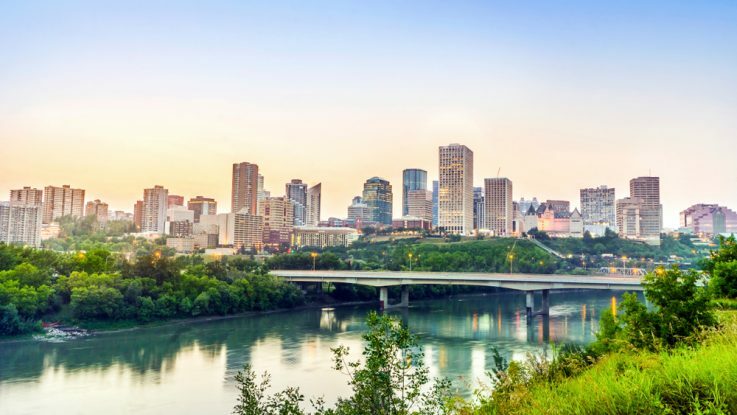 MP: The City of Edmonton recently developed a 20 vision to become socially, economically, environmentally and financially sustainable society by 2040. Specifically, this means Edmontonians want to live in a way that meets the needs of the present while building a strong future. In the area of environmental strategy, our focus has been on air, energy and climate change, food, land, waste, and water. This vision and strategy is an opportunity to challenge ourselves to look for new initiatives. Edmonton is home to North America’s largest contiguous park and has 18,000 acres of green space in our river valley and we want to maintain our land while aligning with our sustainability goals. The opportunity arises from the amount of daylight we receive in summer. LB: You’re electrifying landscaping equipment, and many residents may not realize how extensive that may actually be. What does a rollout of this magnitude entail? MP: This entails leadership support for our turf team to dedicate many hours assessing new equipment and technology which created the environment for the trial to start in 2016. The team had to determine what has the potential within our inventory of green space to maintain and where. Our inventory of land requiring mowing is very diverse and one solution does not work for all areas. Once we were comfortable that the equipment was capable of maintaining our selected trial space then we request the purchase and implemented the plan. The trial began in 2016 and turf leadership monitors closely the effectiveness of the new equipment and its ability to produce the same or better results than previous equipment. LB: Why did you select landscaping equipment as a priority in reaching the city’s sustainability goals? MP: My position as a turf team leader in parks allows me to understand the amount of gas and diesel powered equipment needed and used seasonally to maintain our mowed areas. Reducing the carbon footprint of this equipment was something we wanted to explore and seek out options. By changing some of our mowing equipment from diesel and gas equipment to electric powered we have reduced our emissions, noise pollution and weight of equipment staff are handling. A big plus is that with the new equipment we have totally eliminated the potential for spills of fuel into the environment during the refilling process on our parks sites. By showing how new technology works on our inventory I think it is our job to influence our citizens to explore this technology on their own yards. LB: What do you think defines a “smart city”? LB: Cities can struggle to know for certain that the technologies they’re choosing are wise and safe investments. How did you navigate these choices, and were there partners that helped you along the way? environment. We have an obligation to move that dial. Management has been very supportive in trialing our program improvements with funding for new equipment and supporting the idea that there are better ways to do business. We just have to be willing to try them. LB: You recently won a Smart 50 Award. What does that mean to you? MP: Personal recognition is not why I or my colleagues seek out new technologies. It is for the recognition of my city, my home! This award means the City of Edmonton is moving in the right direction. We have the opportunity to show change is possible and encourage all of our citizens into making more environmentally conscious decisions in all aspects of our lives. Even yard maintenance can be improved no matter how big or small. LB: What’s next on the horizon for Edmonton in the smart cities space? MP: We still have many trials we are planning on that have the potential to be successful in our operations in the future. There is always a “next” when you are considered a smart city. We just have to find it, implement it and assess the value.